A highly structured discovery meeting should include many questions that ask about the quantitative issues as well as the qualitative issues in a woman’s life. This meeting should take no less than about 2 – 3 hours. The focus of the meeting is spent in understanding her and her circumstances, not trying to figure out what financial product should be sold. At age 65 women can expect to live, on average, an additional 20 years. It is for that reason that women have a heightened interest in assuring that their investment portfolio is aligned with their long term goals, objectives and concerns. The plan should culminate in the action steps that need to be taken and when appropriate. Research has indicated that women prefer more time during the decision cycle. Certainly no decision should be rushed. Make sure that this particular firm should be utilized. A Personal Chief Financial Officer (PCFO) who wears the hat of Wealth Manager is an important member of the team of professionals. The selection of this person is of utmost importance and requires proper due diligence and consideration. Our research has shown that women seek education, organization and simplicity around their finances. An especially attentive PCFO will make sure that all questions are addressed in a dignified encouraging way and that at no time should a patronizing tone be used. Don’t hesitate to ask the same question 10 times if you need to understand an important point. 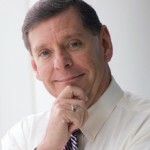 A great PCFO will encourage questions. changes in your status as well as laws and regulations will necessitate an annual review. 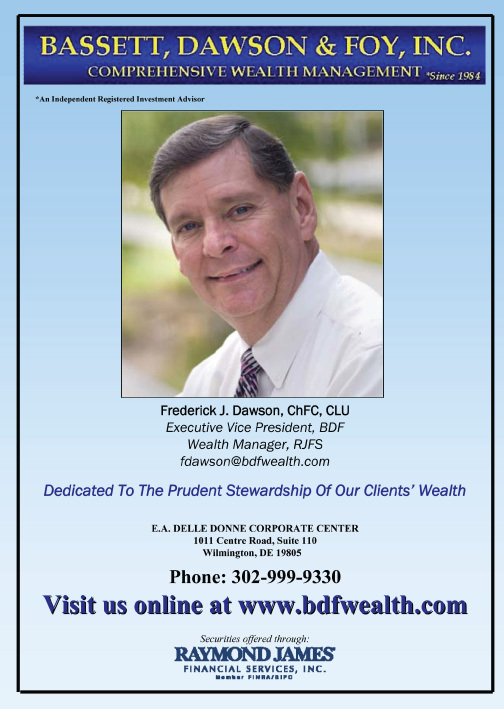 Fred Dawson, ChFC (Chartered Financial Consultant), CLU (Chartered Life Underwriter) has over 30 years of comprehensive wealth management experience. Bassett, Brosius & Dawson, Inc. is an Independent Registered Investment Advisory Firm with the State of Delaware. Any opinions are those of Fred Dawson and not necessarily those of RJFS or Raymond James.